A Venezuelan tourist who said she was wrongfully accused of shoplifting at Macy's flagship store was acquitted Monday in a case that came to light amid concerns that shoppers were being racially profiled at prominent Manhattan stores, her lawyer said. A judge cleared Maria Paez, who said she was just carrying items around the store when she put them in a Macy's bag during a Sept. 12 trip. She soon found herself handcuffed, held in a store detention cell for hours, and pressed to sign a confession and pay $500, while her 12-year-old son waited in the store uninformed of where she was, according to her attorney, Daniel Hochheiser. Court records weren't immediately available Monday evening, and Manhattan district attorney's office representatives had no immediate information on the case. Paez faced misdemeanor charges that carried the potential for up to three months in jail. Paez, whose family owns real estate and a pet-food company in Venezuela, maintains that Macy's security guards targeted her because she spoke Spanish and had words with an impolite fitting-room attendant. "She stuck up for herself, and they didn't appreciate that a foreigner was actually going to talk back to them, and they were going to teach her a lesson," Hochheiser said. A Macy's spokeswoman had no immediate comment. Paez and her attorneys drew attention to her case at a news conference in November, when a series of complaints by black shoppers had spotlighted long-simmering questions about security practices and profiling at Macy's and other major retailers in the city. One shopper, Robert Brown, an actor on the HBO drama "Treme," said he was held for almost an hour and grilled about a $1,300 watch he had bought his mother for her college graduation. He was eventually released without charges. He and at least eight other customers have filed lawsuits saying the store wrongly targets minorities and holds customers for hours. Macy's has said it doesn't tolerate discrimination. The allegations — which came years after Macy's paid a $600,000 fine and promised to change practices to settle similar claims raised by the state attorney general— sparked an outcry among civil rights advocates. In December, Macy's and several other major retailers agreed to create and publicize a customer bill of rights that explicitly prohibits profiling and unreasonable searches. 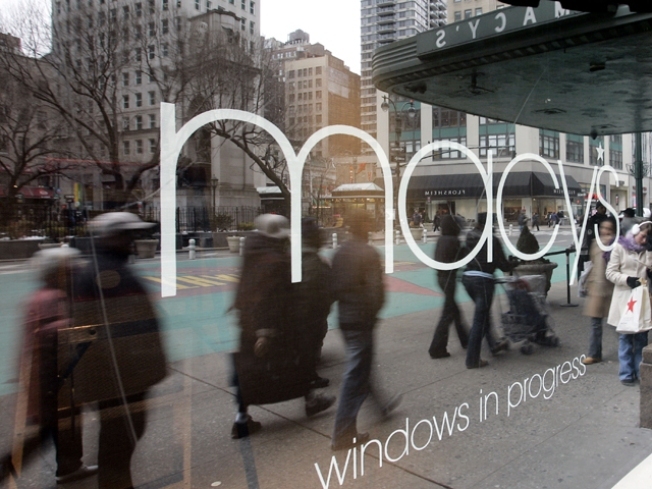 "I think we're making excellent progress," Ed Goldberg, a senior Macy's executive, said then. But Hochheiser suggests there hasn't been enough progress. "One of the hopes is that there are more Maria Paezes out there who will actually fight these cases and, perhaps, eventually, Macy's will change," he said. Laws in at least 27 states give stores the right to hold and fine shoplifting suspects and allow stores to try to recoup some losses, even if a person isn't convicted. During the more than six hours Paez spent in a store holding cell and a police precinct, she wasn't allowed to call her son, her attorney said. He said the boy didn't learn what had happened until store employees ultimately found him in a shoe department at closing time and took him to a security office.